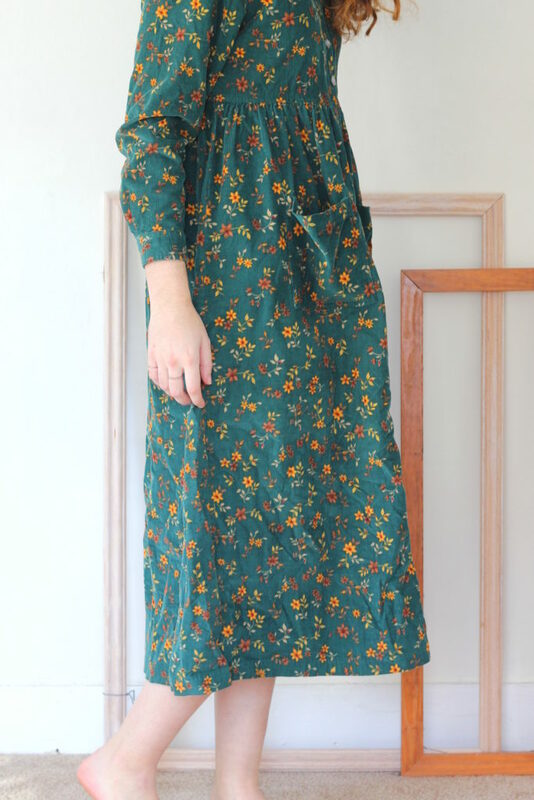 I found this dress last spring at Goodwill, meaning to upgrade it into something wearable and pretty. Unfortunately, I never got around to it and it's been sitting at the bottom of my basket of projects for months and months. Since January is the month of DIY, I decided to take the time (finally!) to take some time to remake this beauty. 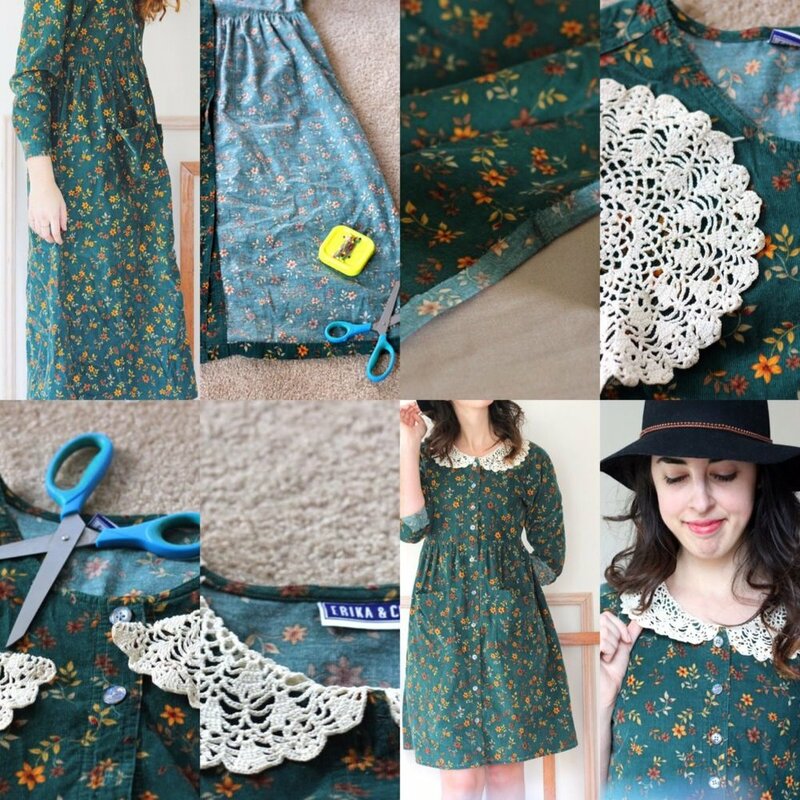 Follow along with me and maybe you'll find the inspiration to fix up your own dresses! Before I worked full-time and started taking classes, this was one of my favorite things to do. 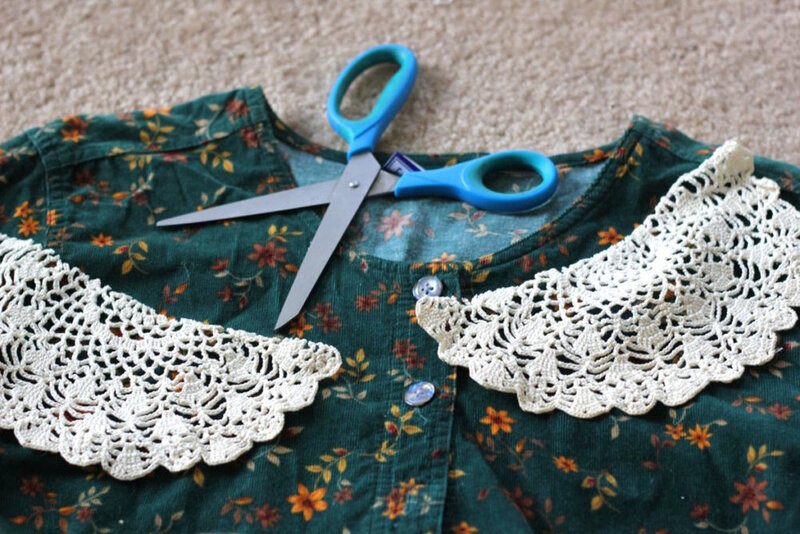 Don't let those lovely prints and fabrics go to waste at the thrift shop - no matter what size or shape they are, you can usually salvage them into something completely wearable and admirable. 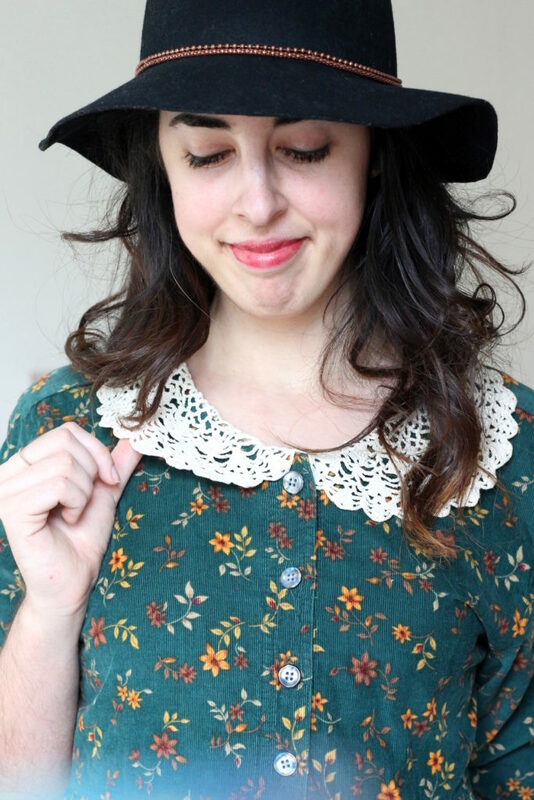 This dress is perfect for fall, mild winter days, and even early spring when it's still chilly outside. I'm planning on pairing it with tights for winter, and transitioning to leggings or even bare legs for spring. I'm excited to layer a cardigan over it, or a little jacket! Here's how I refashioned it. First, try on your dress and decide what you want to do with it. Mine was a bit too long, and seemed too big at first, but then I realized all the extra fabric at the bottom made it seem too big and it actually fit perfectly around the waist and shoulders. Plus, it has a little tie detail at the back. So I laid out the dress inside-out and proceeded to trim about 6 inches of the hem. You may want to leave it a bit longer in the back. 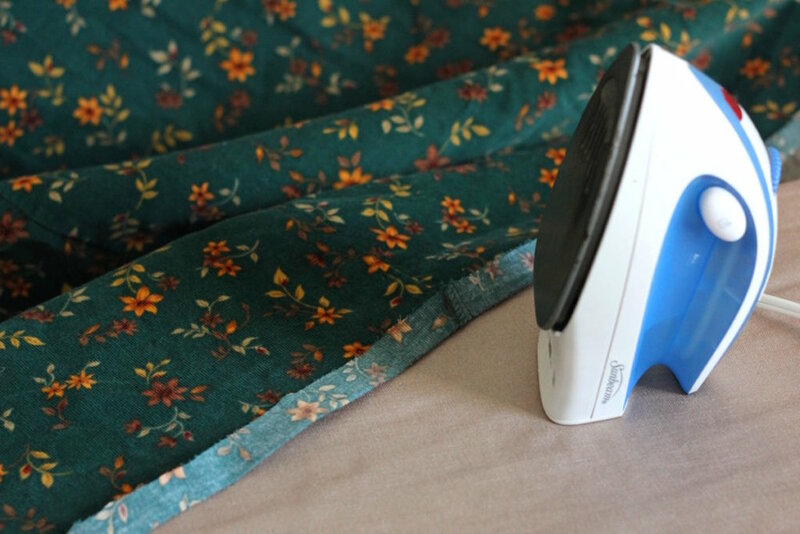 Fold the hem up about an inch or a little less and iron flat. (Disclaimer: As you can see in the photo above, I totally folded my hem the wrong way and proceeded to stitch halfway around the hem before realizing what I was doing. Don't do this without enough sleep.) Go ahead and stitch around the hem. 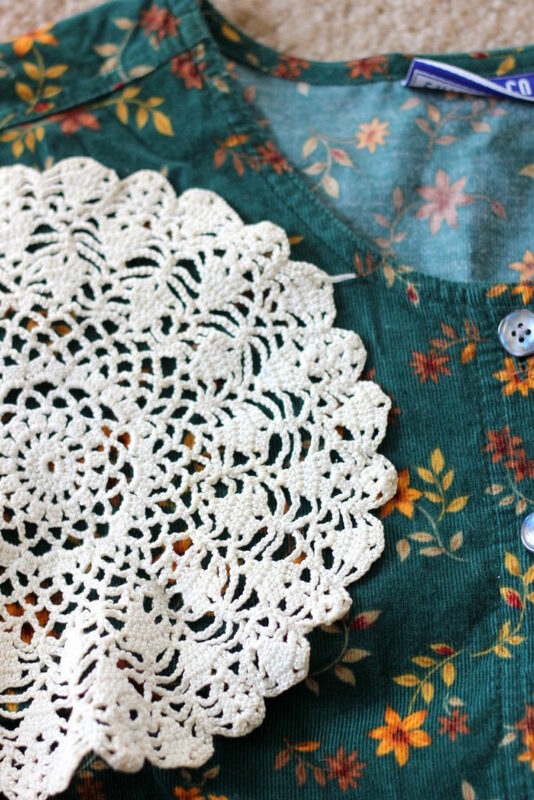 Now take your doily and cut it in half evenly. Pin one half to the wrong side of one side of the neckline, and stitch. Fold over to the front and tack down in a few places to hold it in place. Repeat for the other side, and give the whole thing a good press with your iron. And you're finished! I love how my dress turned out. 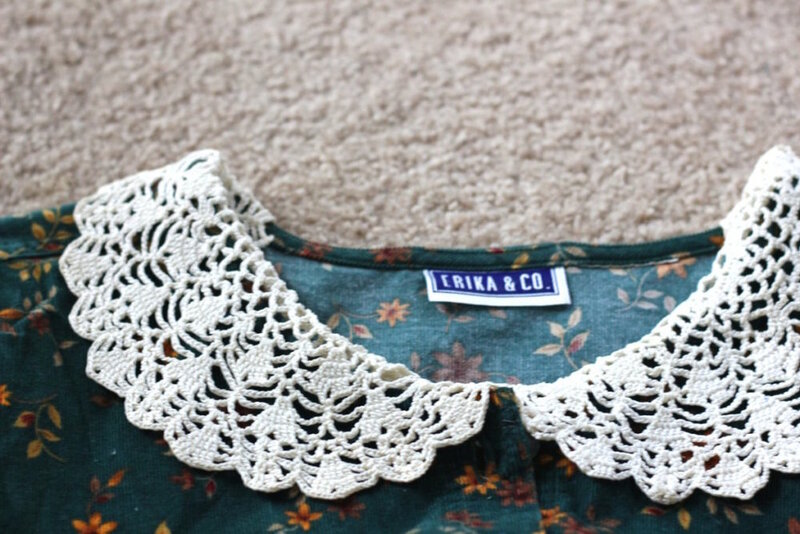 I want to create more pieces with lace collars, and I definitely want to refashion more clothes from Goodwill. It's so easy, and the possibilities are pretty endless. I hope I've inspired you to create your own fashion rather than buying something brand new from the store!